The Life of Mo: We'll go swimming here this summer! 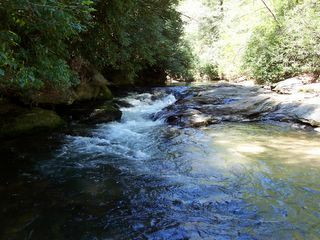 Just upstream from the huge falls is this little cascade and a nice pool. Would down stream from the falls not be a safer place to swim?